It is now officially May 1st and you can now buy Mortal Kombat for the PlayStation Vita at your local and online retailers. It should be made available for direct download to your Vita via the PlayStation Network late afternoon (Central Time). To celebrate Warner Bros and NetherRealm also released a brand new trailer for the game, check it out below. We also were lucky enough to get our hands on an advanced copy of the game to prepare a comprehensive review for you, our readers. Overall we feel the game is the best portable version of any Mortal Kombat game to date, despite taking a necessary graphical step backwards from it's big console brother. Not only does the game play just like Mortal Kombat (2011), it also delivers even more content and features for a lower price tag. We rated it a 4 out of 5 but be sure to read our complete review for even more details. We're not alone either in our feelings it seems. As reviews are showing up online everywhere and the overall consensus is pretty positive. Here's a quick recap of reviews so far and their scores, we will add more as they come in through out the day. To wrap things up here is the official Press Release from Warner Bros on the Release of the Game. 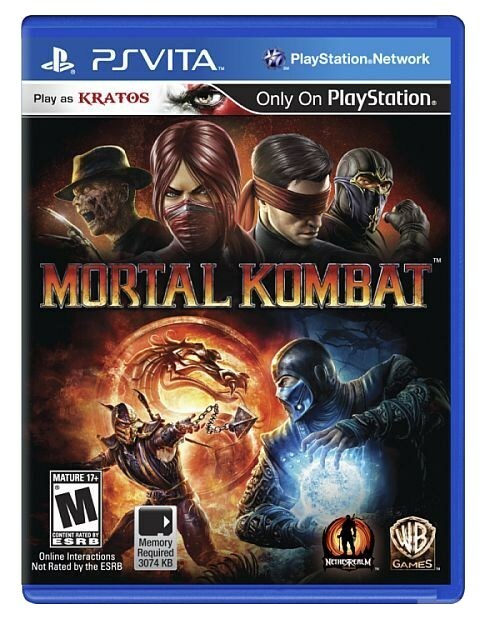 Burbank, Calif. – May 1, 2012 – Warner Bros. Interactive Entertainment and NetherRealm Studios announced today the exclusive release of Mortal Kombat for the PlayStation�Vita handheld system in North America. Making its debut on the new handheld device, the acclaimed fighting franchise delivers lethal action to gamers on-the-go, priced at $39.99. Selling more than three million units worldwide, the reinvention of the franchise was released on consoles in 2011. 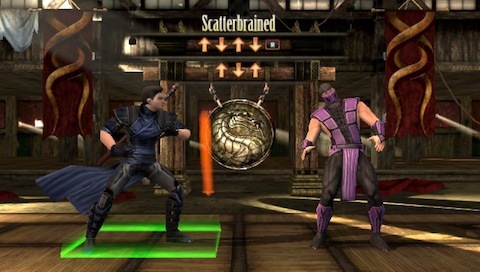 Mortal Kombat became the highest-selling fighting game of the year and won numerous “Best Fighting Game of 2011” awards, including Spike TV’s 2011 Video Game Awards, Game Informer, Official Xbox Magazine and GameTrailers.com. The legendary fighting game is now available exclusively for the PS Vita system in North America. For more information about Mortal Kombat, please visit www.themortalkombat.com, on Facebook at www.facebook.com/mortalkombat or on Twitter @MK_Mortalkombat. FIRST! Great review, btw... who is this, did I skip something while reading? Nm, it is Kenshi. FIRST! Great review, btw... who is this, did I skip something while reading? That's Kenshi's alt costume. I like it a lot. I tried to mix in the new content randomly like that. that was exhaustive! damn! i want to get a vita and mk now. thanks for putting so much into this pat. Great review!! For sure picking this and a vita up now, possibly sometime this week. I can't let all that content go untouched by me, and test your slice looks loads of fun. Count me IN. Great review, Pat! This game is the whole reason I decided to get a Vita, and it doesn't disappoint. I love it.